Look at the entry in this catalog for the Millennial Project book authored by Marshall Savage, to find out to what extent the Foundation has taken its dream. The Conclave took place in Denver August 4-6, 1995, in order to exchange the newest technology supporting the Projects aims and create a governing body to further the work to the next step. 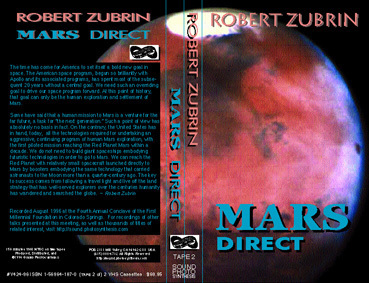 The entire audio package of the weekend's scheduled presentations come in an audio album of 8 cassettes and the specific tapes can be ordered separately as listed under the sequential sort order. The book and the tapes will bring you up to speed and the business meeting can be had directly from the home office of the Millenial Project. Highly recommended for anyone with an interest in science, engineering, space or ecology. Phil Kling and Frank Pfaff discuss the project and team structure of the millennial foundation, and Scott Halbert talks about the substantial effort the FMF is putting into the word-wide-web. An extremely moving and information-packed piece with readings, speculations, and scholarship. The most interesting parts of the millennial project are not technological but sociological. Kail Andersen and Dan Baker talk about local chapters. George Nedic describes his (historical) organization of the first youth chapter. Lee Urton and Yasser Malikana describe the various millennial project animations and video projects. An upbeat, inspiring talk by a longtime space enthusiast and co-creator of the idea of co-evolution. Barbara Marx Hubbard is one of the initiators of the all-important meme of cultural evolution. She is a whole-hearted supporter of the Millennial Project, and in this talk before the core membership she tells many inspiring tales and presents the broader cultural implications of the work of FMF. The United Nations role in space and its relevance to the millennial project. 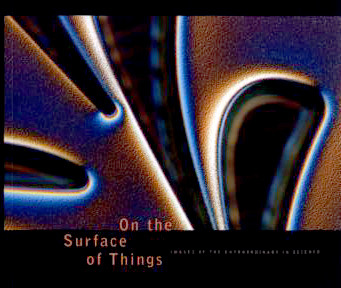 Nov. 5-8, 1997, Hyatt Hotel, Palo Alto, California, all sessions including the Tutorial on Critical Enabling Technologies for Nanotechnology Series. A great talk, a wonderful idea and Dr. Van Flandern has presented such a clear lecture that his theory is available to everyone. Its time to take those Anti-Gravity boots out of the closet!Conference held June 24-26, 2000, Reno, Nevada.Introduction by James Cox.Demonstrations by David Rosignoli, Russ Anderson. CAN GRAVITY BE INCLUDED IN GRAND UNIFICATION? CAN NON-LOCAL INTERFEROMETRY EXPERIMENTS REVEAL A LOCAL MODEL OF MATTER? A master mind. Rare talk and update of the Vigier world. Cryonics is the science of freezing a creature before or after it dies, in anticipation of its coming back to life at a later date. During this talk, an apparently happy dog was brought out to the audience that had successfully undergone this process. Dialogues with Scientists And Sages: The Search for Unity. Frank Tipler, Jack Sarfatti, Fred Alan Wolf, and Creon Levit discuss Tipler's theories of the Omega Point, God and the resurrection of the dead based on global general relativity and quantum cosmology. Faustin interviews and Tipler does most of talking in this very animated and amusing presentation on the way to the Omega Point. 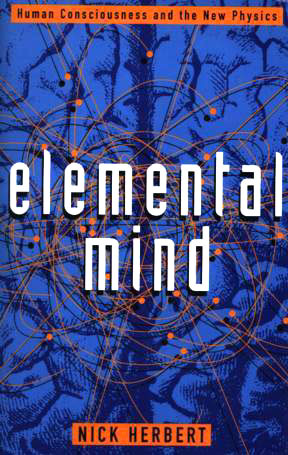 Elemental Mind is an amazing compilation of scientific knowledge...Herbert is one the few scientists pushing the envelope of our intellectual universe by pure thought alone. His book is the clearest presentation of the quantum materialist position, the omega point of the modern paradigm. - Ralph Abraham, professor of mathematic at the University of California at Santa Cruz and co-author of Trialogues at the Edge of the West. Glamorous astrophysicist, author and Director of New Media at the Miami Museum of Science and Space Transit Planetarium, Dr. Fiorelli Terenze combines science, music and art to awaken people to the wonders of the universe around them. In this multimedia presentation recorded during the Future Visions conference in NY city, Fiorella puts on a stellar show! Introduction by Joe Firmage of the International Space Sciences Organisation. Exciting science. New social potentials suggested in this interview with Faustin. 60 minutes. In Infinity and the Mind, Rudy Rucker leads an excursion to that stretch of the universe he calls the Mindscape, where he explores infinity in all its form: potential and actual, mathematical and physical, theological and mundane. Here Rucker acquaints us with Godels rotating universe, in which it is theoretically possible to travel into the past, and explains and interpretation of quantum mechanics in which billions of parallel worlds are produced every microsecond. 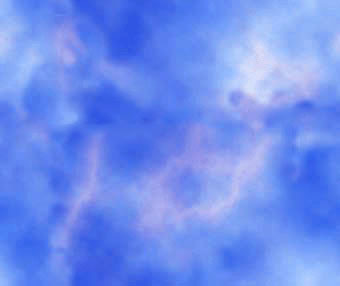 It is in the realm of infinity, he maintains, that mathematics, science, and logic merge with the fantastic. By closely examining the paradoxes that arise from this merging, we can learn a great deal about the human mind, its powers, and its limitations. Using cartoons, puzzles, and quotations to enliven his text, Rucker guides us through such topics as the paradoxes of set theory, the possibilities of physical infinities, and the results of Godels incompleteness theorems. His personal encounters with Godel the mathematician and philosopher provide a rare glimpse at genius and reveal what very few mathematicians have dared to admit: the transcendent implications of Platonic realism. VIGIER III: Gravitation and Cosmology: From the Hubble Radius to the Planck Scale.A Symposium in Celebration of The 80th Birthday of Jean-Pierre Vigier. CANDACE B. PERT, PH.D., is a Reasearch Professor in the Departmant of Physiology and Biophysics at Georgetown University Medical Center in Washington, D.C., where she also conducts AIDS research. She was featured in Bill Moyerss book and PBS series Healing and the Mind, and lectures extensively throughout the country. Why do we feel the way we feel? How do our thoughts and emotions effect our health? Are our bodies and minds distinct from each other or do they function together as parts ofan interconnected system? 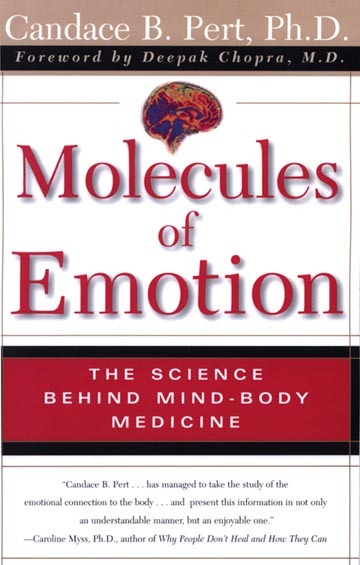 Molecules of Emotion is a landmark work, full of insight and wisdom and possessing that rare power to change the way we see the world and ourselves. Ilustrated selected papers by Dr. Abraham on models for pattern formation processes, morphogenesis, ans self-organizing systems, showing the evolution of the complex dynamical systems concept over a fifteen-year period. The works indicate a range of applications spanning the physical, biological, and social sciences. Nick Herbert has gone a heroic distance in making quantum reality comprehensible. The book goes into the details of the weird world of quantum physics like no other book on this fascinating subject. 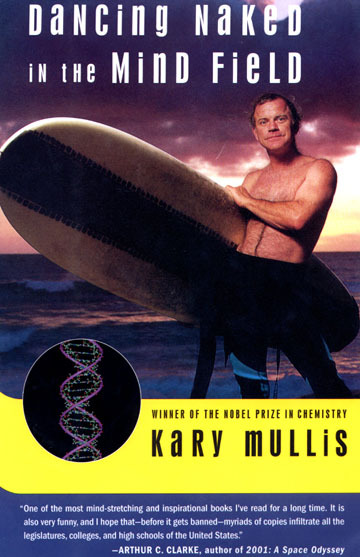 A great place for the reader to begin to learn about quantum physics. This is an introduction to the geometry which, as modern science now confirms, underlies the structure of the universe. The thinkers of ancient Egypt, Greece and India recognized that numbers governed much of what they saw in their world and hence provided an approach to its divine creator. Robert Lawlor sets out the system that determines the dimension and form of both man-made and natural structures, from Gothic cathedrals to flowers, from music to the human body. By also involving the reader in practical experiments, he leads with ease from simple principles to a grasp of the logarithmic spiral, the Golden Proportion, the squaring of the circle and the other ubiquitous ratios and proportions. With 202 illustrations and diagrams, 56 in color. Science & Astrology is not an attempt to define or explain the zodiac or the measure formulae but is an examination of the common foundation shared by both, an examination that holds regardless of the use or abuse of either. Of course, in our day and age, astrology wears the disguise of the bawdy courtesan, but behind this masquerade lies the flesh and bones of first principles. While founded on intuitive insight, these principles can be shown to correlate to those on which the measure formulae—the time-tested vocabulary of physical science—is based. Indeed, this correlation makes possible the hope, expressed in 1954 by L.L. Whyte in The British Journal for the Philosophy of Science, that the measure formula should be expressed in terms of angle. It also shows the applicability of science to life and evolution in a manner not previously proposed. Ravi Ravindra, Ph.D., is chair of the Department of Comparative Religion at Dalhousie University, Halifax, Canada, as well as adjunct professor in the Department of Physics. He is a leading lecturer and essayist on science and spirituality. There exists the inevitable conflict between science and spirituality. At the center of this conflict is the scientific ego, specifically whether the scientist is able to adopt a posture of assertion or surrender. Illumination on the age-old dilemma can be found here. The life and work of Albert Einstein serve to illustrate the crucial issues involved. TRT: Eldon Byrd, the electronic and medical engineer who wrote the original human experimentation protocols for the Navy in 1981, discusses ELF weapons, mind control, domes of light, dolphins, experiments and ethics. Eldon Byrd, the electronic and medical engineer who wrote the original human experimentation protocols for the Navy in 1981, discusses ELF weapons, mind control, domes of light, dolphins, experiments and ethics. 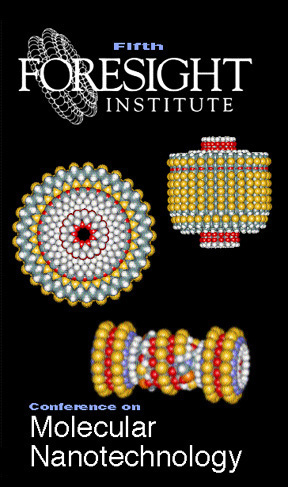 October 18-20, 1996, the Theory of Atoms in Molecules, invented by Richard Bader, is gaining acceptance as an objective way to describe molecular structure and to predict a wide variety of molecular properties. The theory uses topology of the charge density to objectively and unambiguously reveal bonding, bond types (covalent, ionic, etc), bond orders, the location of lone pairs, unpaired electrons, electrophilic and nucleophilic reactive sites, per-atom electron populations, multipole moments, magnetic properties, etc. In these video proceedings, leaders in the fields of quantum chemistry and chemical physics pay tribute to Richard Bader on the occassion of 65th birthday by presenting new results inspired by his Theory of Atoms in Molecules. October 18, 1996, in these video proceedings, leaders in the fields of quantum chemistry and chemical physics pay tribute to Richard Bader on the occassion of 65th birthday by presenting new results inspired by his Theory of Atoms in Molecules. Synchronicity. An Acausal Connecting Pronciple. Barrow and Tipler have written a book that, while serious and technical, reaches far past what most scientific works consider possible . The importance of life for the evolution and appearance of the universe is here explored from the standpoint of physics primarily, but also from philosophy, biology, religion, chemistry and mathematics. Dense, solid, technical, entertaining, and soaring far beyond any other science book I've seen. "In the speculative and intellectual richness of its pages, this book is probably unsurpassed" -- Peter Atkins. A future classic. The Bell Note is a diary kept by the noted inventor and author of The Reflexive Universe, Arthur M. Young. During the period from 1945 to 1947 when his helicopter, Bell Model 47, was perfected and awarded the worlds first commercial helicopter licene, he was already engaged in a new quest. this was to be a spiritual rather than a technological one, and would lead him through Eastern philosophy, Jungian dream analysis, parapsychology, and yoga. these explorations, as well as the day-to-day work on the helicopter, were recorded in a journal, from which the most significant and inspiring entries have been gathered into the present book. Arthur Young is one of the principal pioneers of todays consciousness movement, and his quest for the psychopter, or winged self, is one of the great spiritual journeys of our time. The FOUNDATIONS OF SCIENCE: The Missing Parameter summarizes the thesis convincingly spelled out in Arthur Youngs THE REFLEXIVE UNIVERSE and THE GEOMETRY OF MEANING. The realization that something crucial is lacking in the scientific world is widespread, but most critics fall back on generalizations. In contrast, Youngs targeting is precise, his evidence detailed. Science, he demonstrates, has failed to grasp the fundamental organizing role of the quantum of action, or photon, which has the measure formula of angular momentum (ml2/t) and governs the countless cycles of action through which cosmos and consciousness evolve. Here, he argues, we find ourselves unavoidably confronted with the underlying purposefulness of the universe. 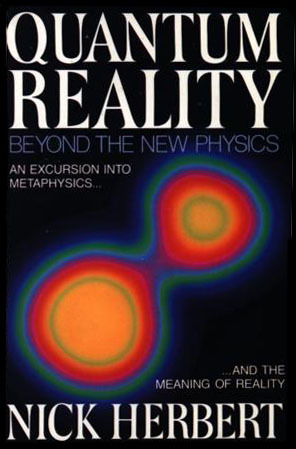 Examining contribution from Planck and Heisenberg, from Bateson and Bohm and Szent-Gyorgyi, Young provides an overview of the effects of quantum physics and the consciousness movement on the history of science....Essential reading for anyone perplexed about the nature of reality. One of the biggest ideas yet, describing a technological, environmental, practical plan to save the ecology and population of the earth. Using ocean thermal energy and and aquaculture we create sustainable food, fresh water, and energy sources for the world's population while generating huge economic surpluses. These surpluses are used to construct a mass-driver/laser launch system to build habitable ecospheres in space and a colony on the moon. From there Mars is teraformed, the asteroids colonized, and later in the second half of the new Aquarian millenium, starships are launched. The most interesting aspect of this book is the practical, sound arguments for how to reverse ecological damage while improving the standard of living of all the world's people. In other words, this is not simply a book about space colonization but a book about how to prepare for it, pay for it, and solve the economic and ecological problems of the earth before anyone actually moves to space. Highly recommended for anyone with an interest in science, engineering, space or ecology. The Physics of Immortality: Modern Cosmology, God and the Resurrection of the Dead. Global general relativity, computer science, and particle physics are combined to produce a serious and powerful scientific argument for the existence of God at the end of time. A God who is descendent from us, and who is the infinite information processing power using the energy available in a differential collapse at the end of a closed universe, about 100 trillion years from now. How about a computer that can simulate every possible version of our visible universe? Its all "probably in our future" argues Tipler. This one will keep you and yours up late into the night. An alphabetical list of the common names of all simple isoquinolines, a searchable list of structures, and a list of plants that contain them, all in a single book! Years of careful research led John S. Saloma to conclude that humanity could survive the cultural and personal transformations demanded by the nuclear age only by developing a more complete world-view, one that integrated physical and spiritual knowledge. He discovered such a vision in the theory of process, Arthur M. Youngs map of the design and purpose of evolution. Saloma describes the failure of science to provide guidance for the future or even to correctly interpret its own findings, and lays the groundwork for readers to understand and evaluate attempts to construct a viable paradigm. A radical alteration of perspective is difficult to communicate. The succinct essay by Ruth Forbes Young successfully captures the essence of the theory of process and can be used by students as a guide to Youngs works. John S. Saloma was a professor of political science at M.I.T. and co-founder of the reform-oriented Ripon Society. In 1974 he moved to California and directed his skills toward consciousness research, spending the last years of his life making unique contributions to this field. Ruth Forbes Young, a noted artist, is married to Arthur M. Young. In 1970 she founded the International Peace Academy, an important facilitator in world peace efforts. In 1988 the United Nations sponsored a formal tribute to Young in honor of her accomplishments. A Symposium in Honour of Jean-Pierre Vigier August 25-29, 1997 PETER ROWLANDS, Department of Physics, University of Liverpool, UK, "The physical consequences of a new version of the Dirac equation". S.M. ROY, Tata Institute of Fundamental Research, Mumbai, India, "Maximally Causal Quantum Mechanics". LUIZ CARLOS RYFF, Institute of Physics, University of Rio de Janeiro, Brazil, "Neither particle-like nor wave-like behavior of a photon". A Symposium in Honour of Jean-Pierre Vigier August 25-29, 1997 Perhaps the high light of the symposium. Vigier II Symposium: Causality and Locality in Modern Physics and Astronomy: Closing remarks. A Symposium in Honour of Jean-Pierre Vigier August 25-29, 1997. 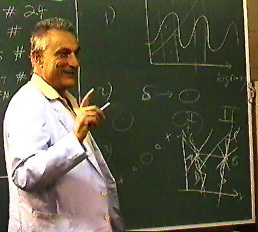 A Symposium in Honour of Jean-Pierre Vigier August 25-29, 1997 : T. D. ANGELIDIS, Centre for Mathematical Physics, London, UK, "On a minimal local extension of the quantum formalism".SANDU POPESCU1 AND DANIEL ROHRLICH2, 1Isaac Newton Institute, Cambridge , U.K., and 2School of Physics and Astronomy, Tel Aviv University, Israel,"Causality and nonlocality as axioms for quantum mechanics". 71. SANDU POPESCU1 and DANIEL ROHRLICH2, 1Isaac Newton Institute, Cambridge, U.K., and 2School of Physics and Astronomy, Tel Aviv University, Israel,"Measuring entanglement". M. H. MAC GREGOR, Lawrence Livermore National Laboratory, Livermore, CA, "The relativistic kinematics of the de Broglie phase wave .G. N. ORD, Department of Applied Mathematics, University of Western Ontario, London, Ontario, "Classical embeddings of Schr�dinger's equation and non-locality". ZSOLT PAPP, LOSZLO NODAI and P�TER VORLAKI, Technical University of Budapest, Hungary, "Wave-packet model and Mach-Zehnder-type interferometers". WHAT IS THE EVANS-VIGIER FIELD?